Roofing - Performance Roofing, Inc. | Lasting metal roofing systemPerformance Roofing, Inc.
your roofing system plays an essential role in keeping your home and family safe from the elements. Making sure your roof is designed properly, installed professionally, and supported throughout its lifetime requires roofers in Portland and Portsmouth who can offer experience, skilled craftspeople and a commitment to customer service. That’s why you should choose Performance over all the other metal roofing companies for all your Seacoast and Maine roofing requirements. In addition to traditional asphalt shingle roofs, Performance offers our customers the option of installing a rugged, long lasting metal roof system on their home. 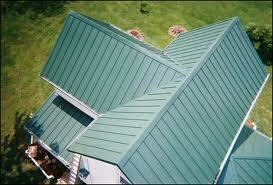 Metal roofs offer a number of distinct advantages over all other roofing materials. Our Portland roofers and Portsmouth roofers have installed metal roof systems on homes of all sizes and styles across the Seacoast region of New Hampshire and Maine. Metal roofs are the most durable of all roofing materials, often lasting for 50 to 100 years with minimal maintenance. A metal roof offers superior weather protection, is fire and wind resistant, and available in a beautiful array of non-fade colors to create a striking look for your home. For a more traditional style, Performance offers asphalt shingle roofing systems from CertainTeed, one of the world’s leading manufacturers of roof products and materials. We are a CertainTeed Master Shingle Applicator, which means we can offer the full line of CertainTeed styles for Portland, Portsmouth and Seacoast homes, along with the industry-leading CertainTeed warranties. Of course, the most important choice you will make is what the contractor has to offer and if it is the right one for your home. Performance is the only Portland roof company and Portsmouth roof company to offer the best combination of quality materials, professional installation, and customer service that is based on honesty, integrity and open communications. We guaranteed you’ll be delighted with your experience when you choose Performance. If you want to step up to a rugged, durable metal roof, or if you are interested in a high quality shingle roof, make the call to the roofing contractors Portland and Portsmouth homeowners rely on to protect their homes – Performance. Call us today at (207) 430-3868 to schedule a free roof inspection and written estimate for your Portsmouth or Portland roofing project or for roof repair Portland or roof repair Portsmouth. 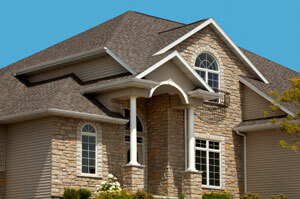 We serve serve York, ME, New Hampshire, NE, Dover, Hampton, Portsmouth, NH and the surrounding areas. For more information, click here.